We’re one month away from the best time of year at Balise Toyota of Warwick! Always Adopt Super Dog Adoption Day will be held on Sunday, June 3rd this year and we’re more excited than ever to celebrate FIVE YEARS of hosting this iconic event responsible for finding over 2,000 dogs and puppies forever homes and loving families. As usual, if you are looking to adopt on event day, you will need to apply online and be pre-screened by the talented team at Always Adopt. To do so, click here. Applications normally flood in, but don’t worry, there are enough dogs for everyone! Last year alone, 412 dogs were adopted to new, loving homes. “This is still a unique New England event where so many at risk dogs are given exposure to families wishing to adopt.” Louise Anderson Nicolosi, founder of Always Adopt said after the 2017 event. Once you are pre-approved, you will be given a specific time block to arrive at the event. The event opens to the first group of pre-screened applicants at 10am, and the second group at 11am. The event opens to the public at 1pm! 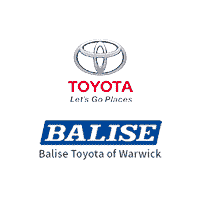 Our Balise Toyota of Warwick sales department will still be OPEN for business on Sunday, June 3rd as well. Due to the amazing amount of people attending our Super Dog Adoption Day, ALL parking will be located down the street at Ann & Hope (1689 Post Rd, Warwick, RI 02888). When you arrive, park in the lot and look for the bus stop sign. There will be buses shipping happy families and pups back and forth all day for your convenience and safety.